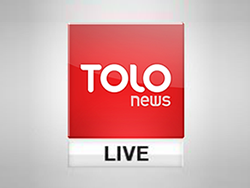 TAKANI: Pakistani Shelling In Eastern Afghanistan | . :: Elections 2014 ::. Local officials of eastern Kunar province reported early Saturday that Pakistani military forces had fired more than 97 rockets into Dangam and Shegal districts of the province. The assault marks just the most recent of a series of violent Pakistani territorial infringmenets that have caused death and destruction in a number of eastern provinces over the past week. In this episode of Takani host Shapoor Bakhtyar discusses how the government should react to it?